Reflect the purity of your diligence to the month with a simple, innocent banner wishing your fellow Muslims a prosperous year ahead. 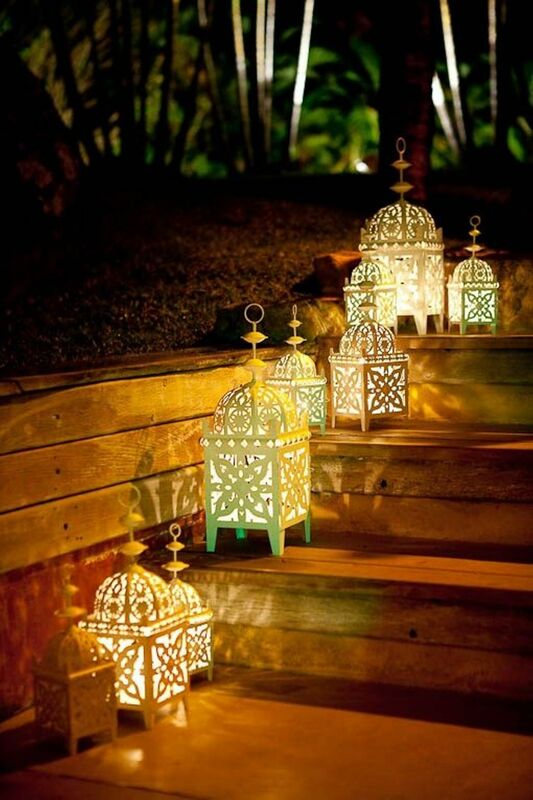 You may either place this inside your home or in the patio to set the mood for your guests. This simple board is sure to put a smile on their faces. Dazzle your guests with a ‘madder red’ and golden woven table runner. Madder red keeps you in trend with not only the “Colour of 2016”, but also the thematic colour of Eid. A li’lhandwoven golden could add an element of sheen and shine to your already happy occasion. Convenience and style above everything else! A mobile cart is a reflection of exactly that statement. 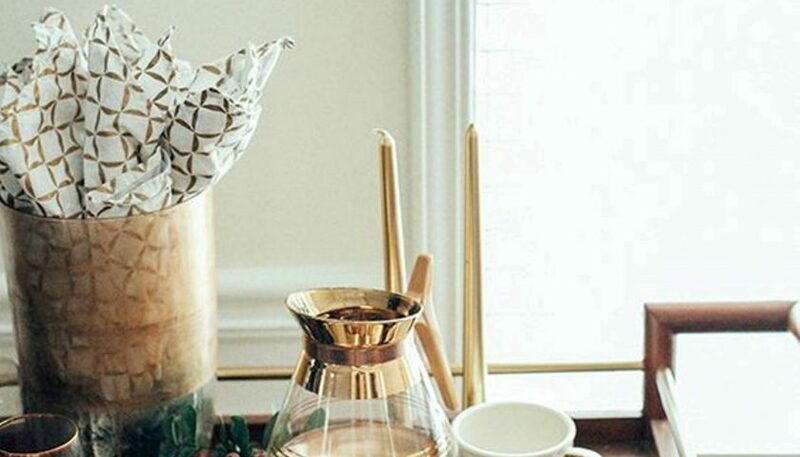 Wooden cart with a touch of golden in the handles will make it look more elegant than ever. 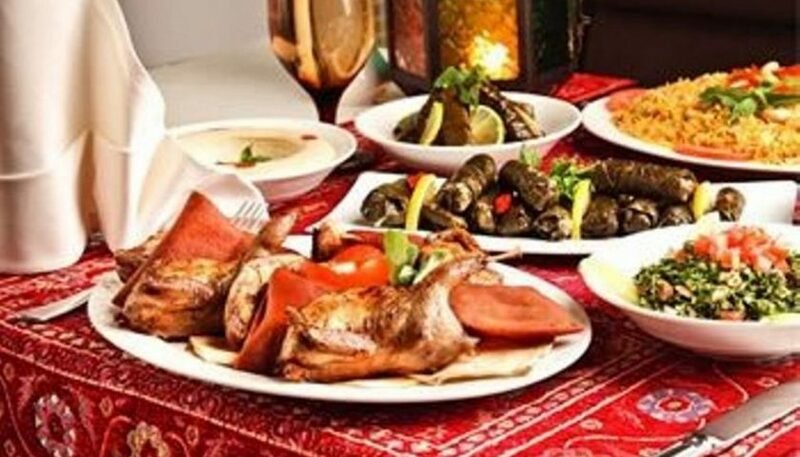 To stick to the shiny, glamorous theme of Eid, DG recommends bringing out the golden plated, copper or bronze crockery! 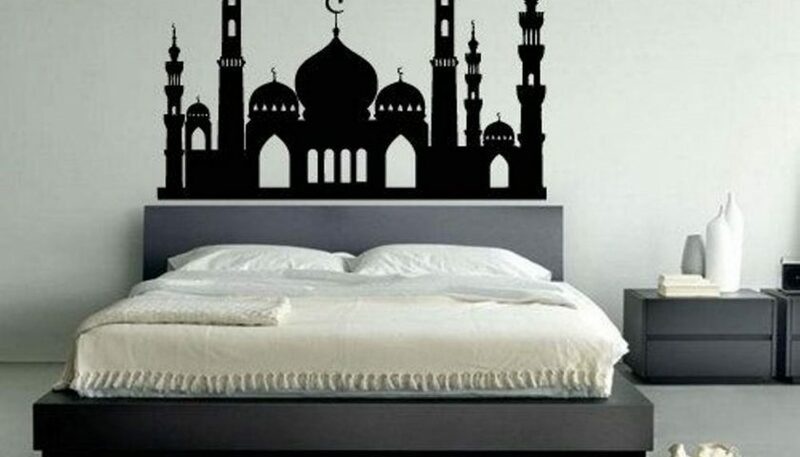 One of the most elegant and might we add, easiest ways of embellishing your home is with these. 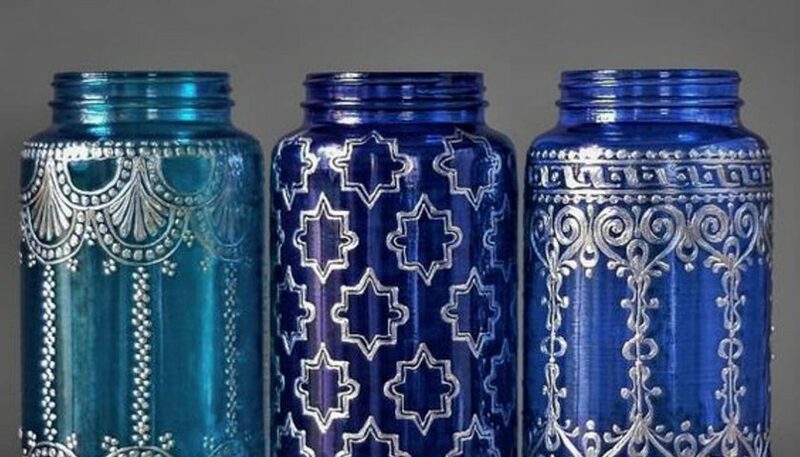 To make these thematic, DG recommends giving your jars a Bohemian twist with the silver metal accents, henna patterns and Eid-specific coloured glass. 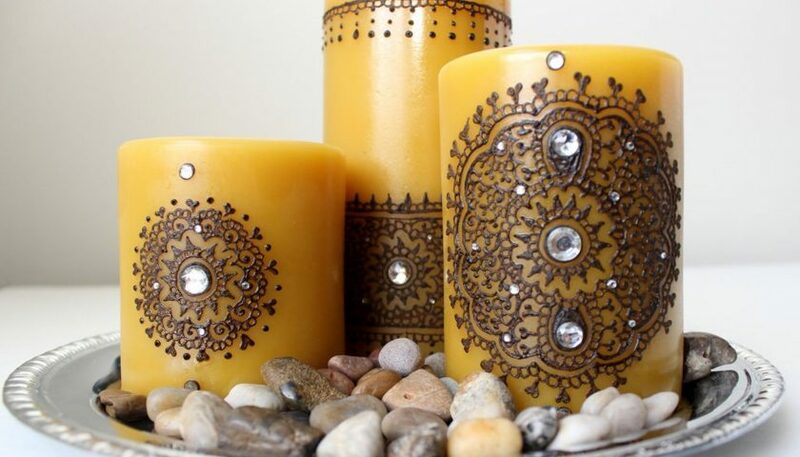 Did you know candles could be decorated with Henna? No, it does not look tacky! The dark, intricate patterns against a pale coloured candle can make it look elegant, and of course, fetch you compliments! 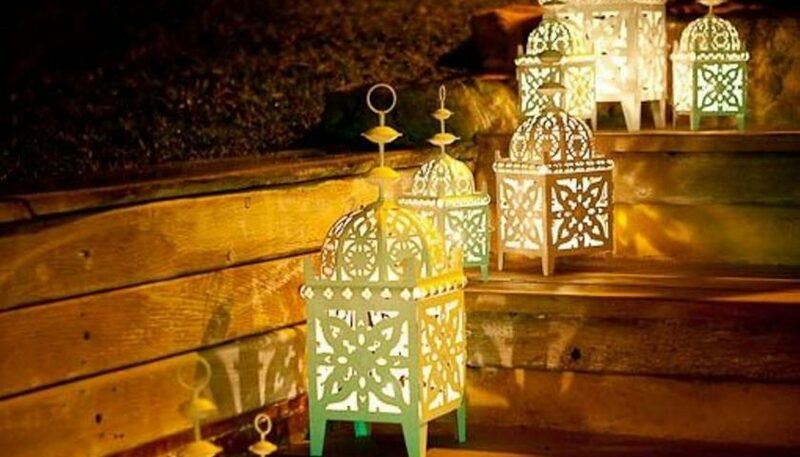 Since gold is one of the most prominent colours of Eid, decorating your home with a few yellow-light lanterns could enhance the festive mood drastically… Moroccan lanterns with their curvy designs could be your icing on the cake! Hang these by the window, out on the balcony, or even over the dinner table – wherever you place them, they’re bound to grab immediate attention! Do you have an apartment on a high floor? 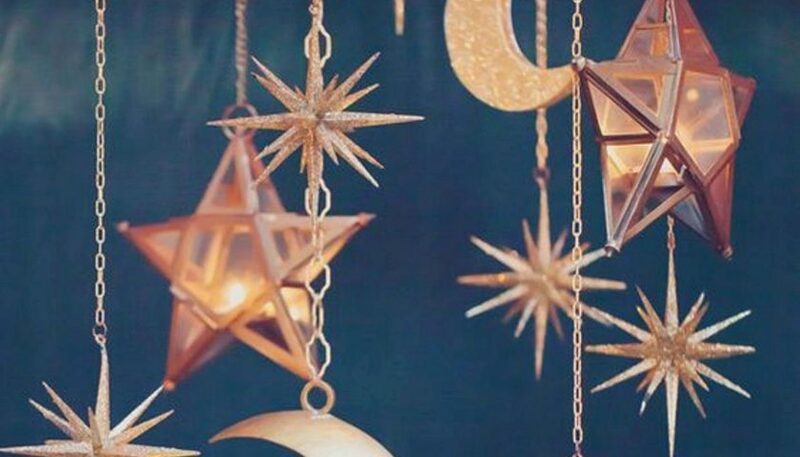 Why not maximize it’s benefits with a wind chime in your home? Combinations of blue and golden could do wonders for this festival and the chicness of your home! 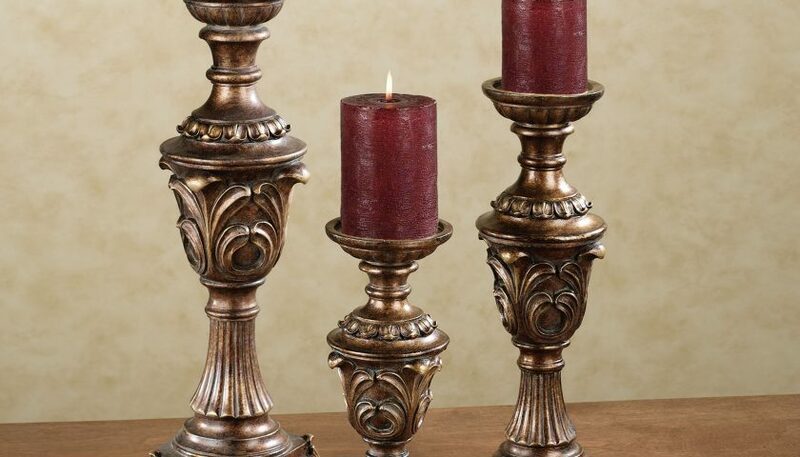 Place antique, bronze candle holders in the hallway or even your living room to for a combined element of majestic and vintage at your dinner party. 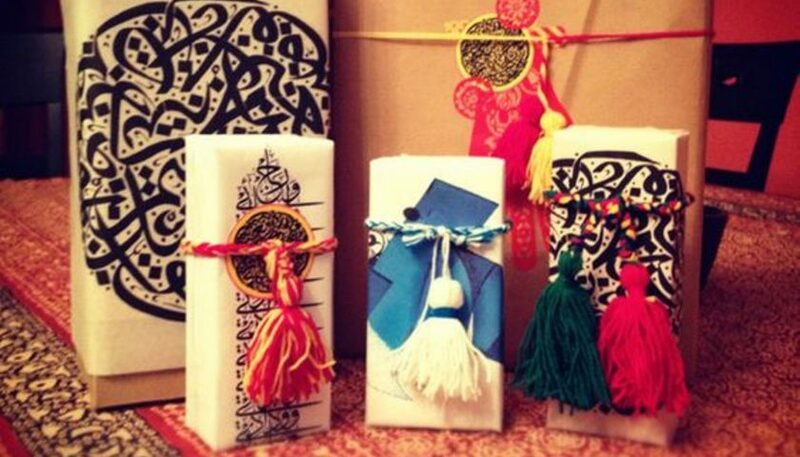 Put a smile on your guests’ faces with a small goodie beautifully wrapped in Arabic calligraphy wrapping paper. 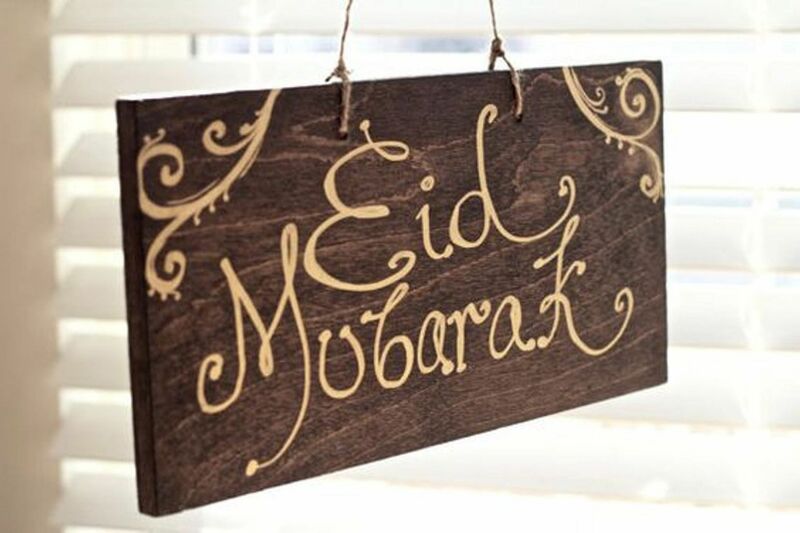 Wash away all your bad deeds by being thoughtful of others this Eid.